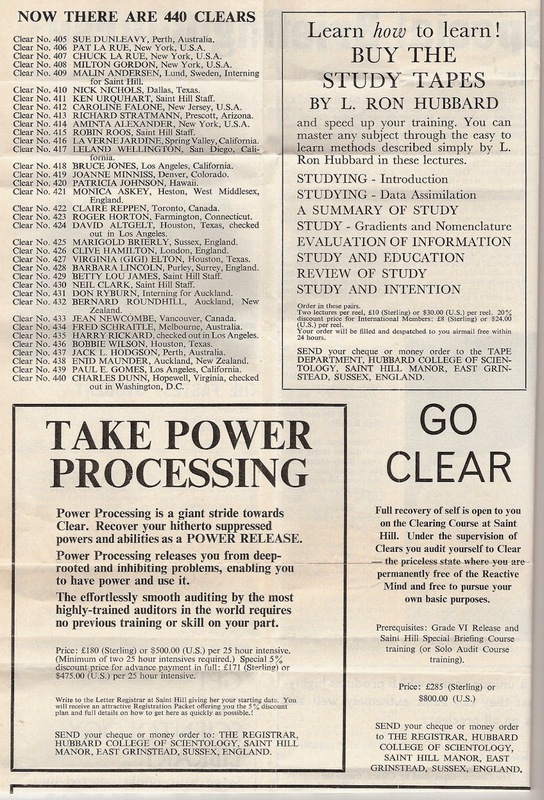 Friday February 6th 2015 from 6:30 p.m. and Saturday February 7th 2015 from 12 noon at Filmbase, Curved Street, Temple Bar, Dublin. 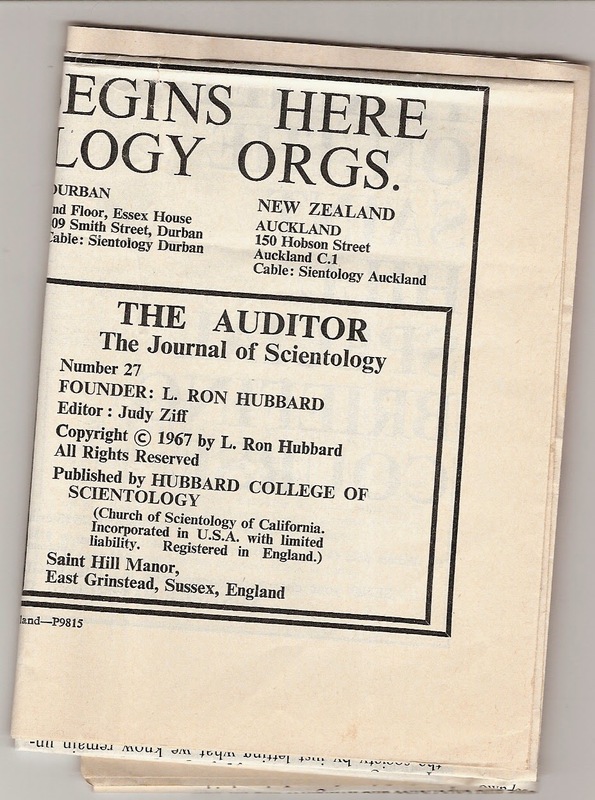 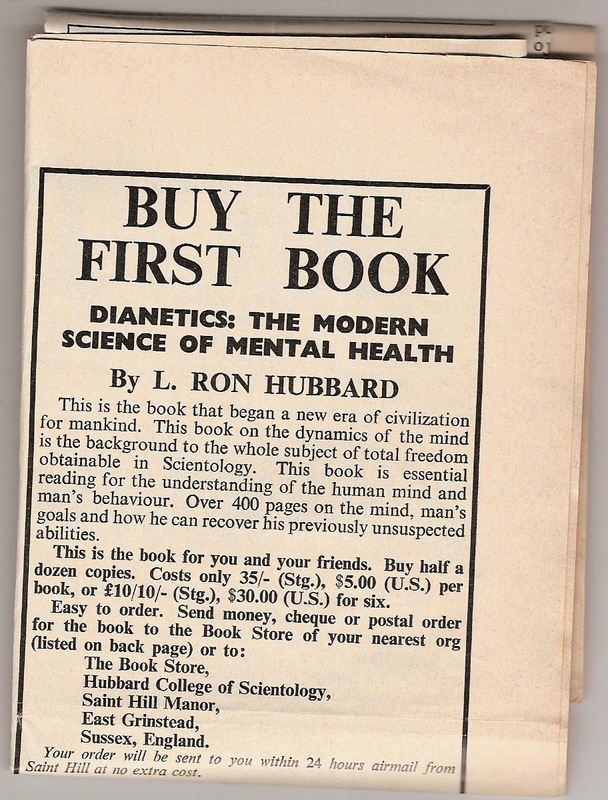 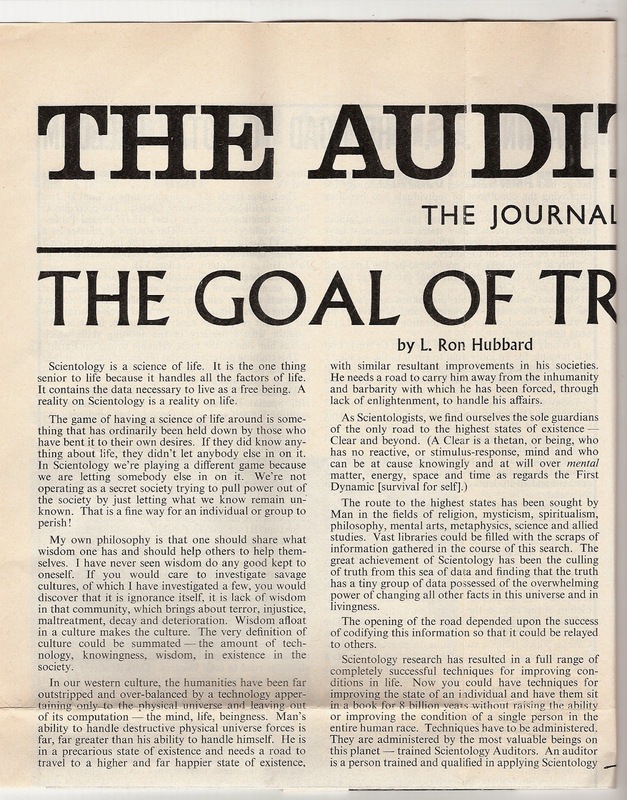 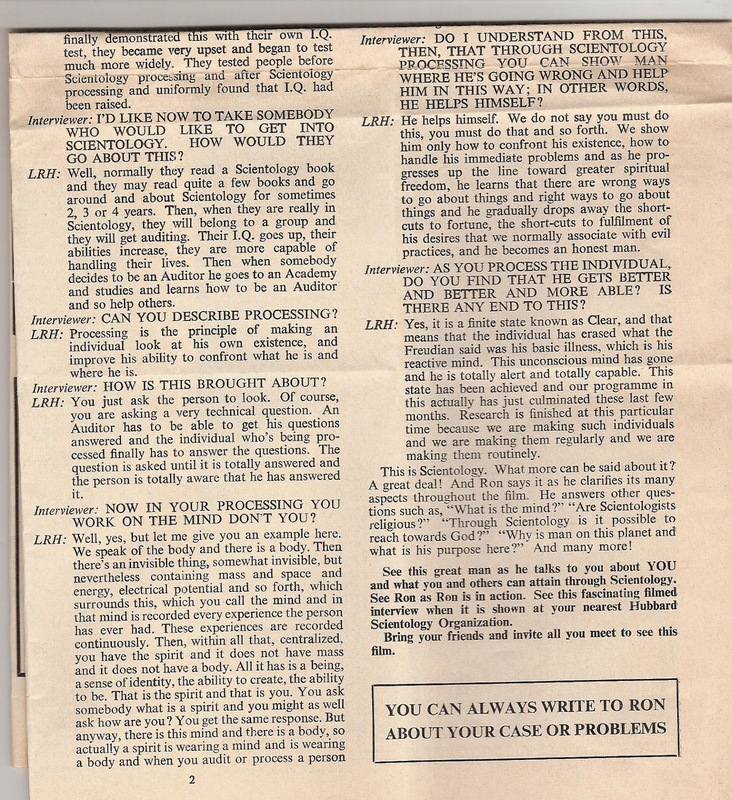 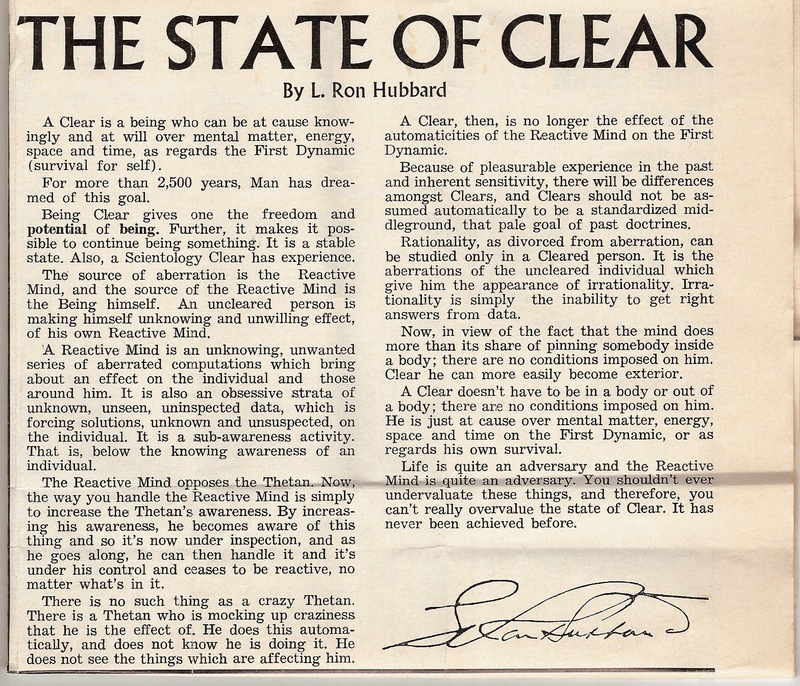 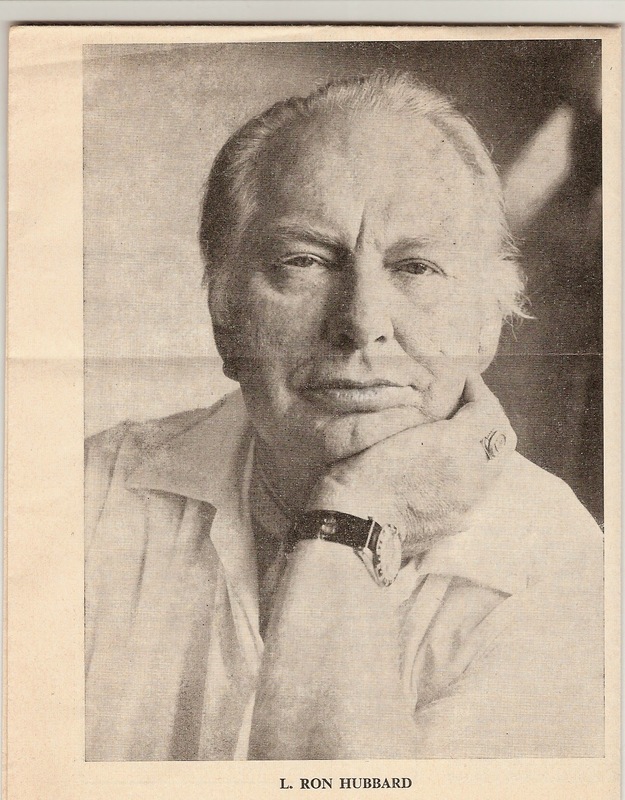 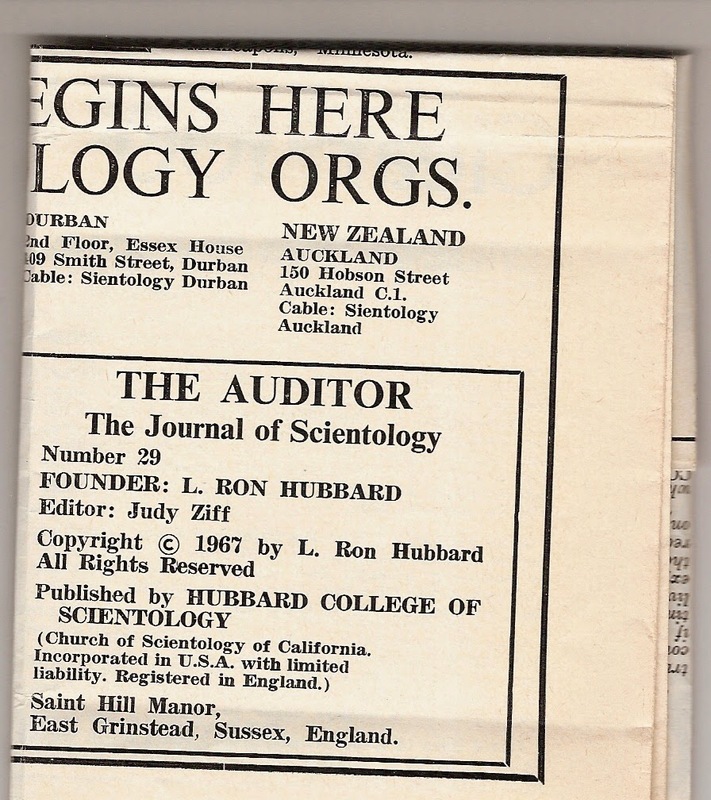 L. Ron Hubbard The Mental Patient? 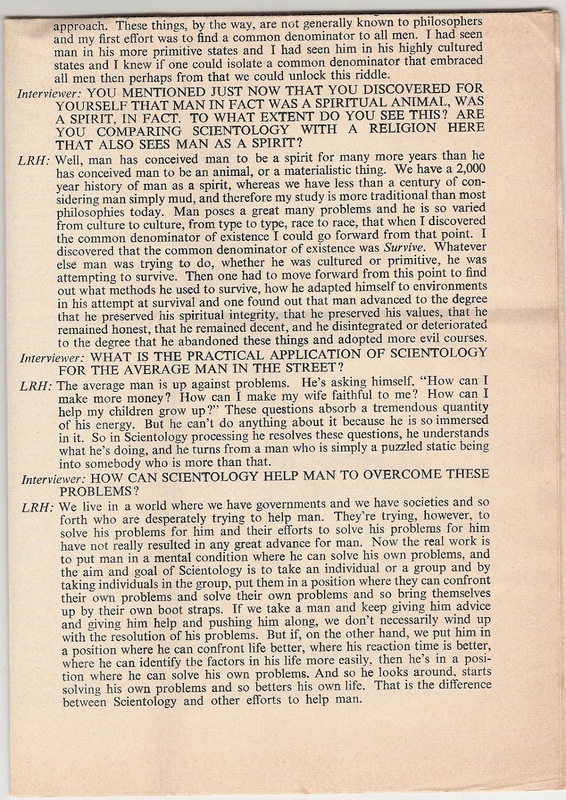 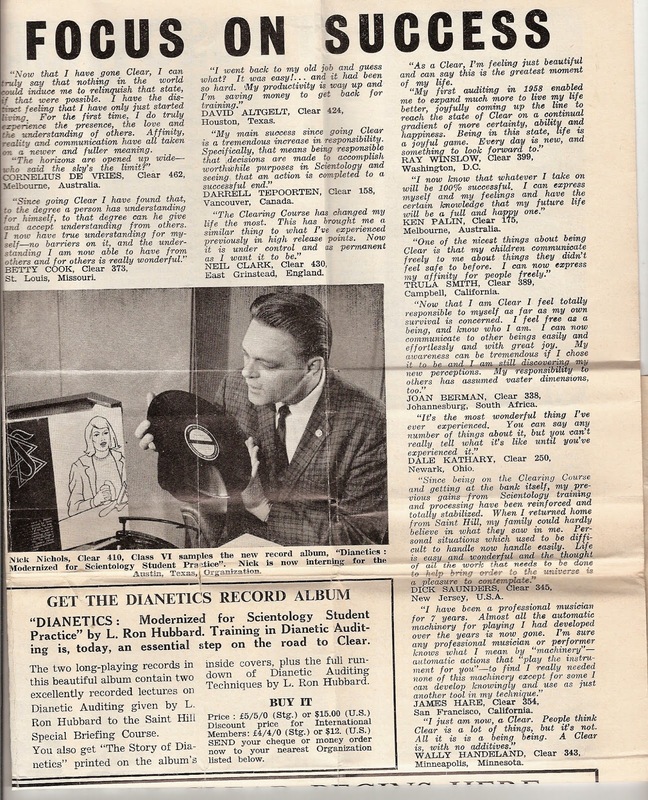 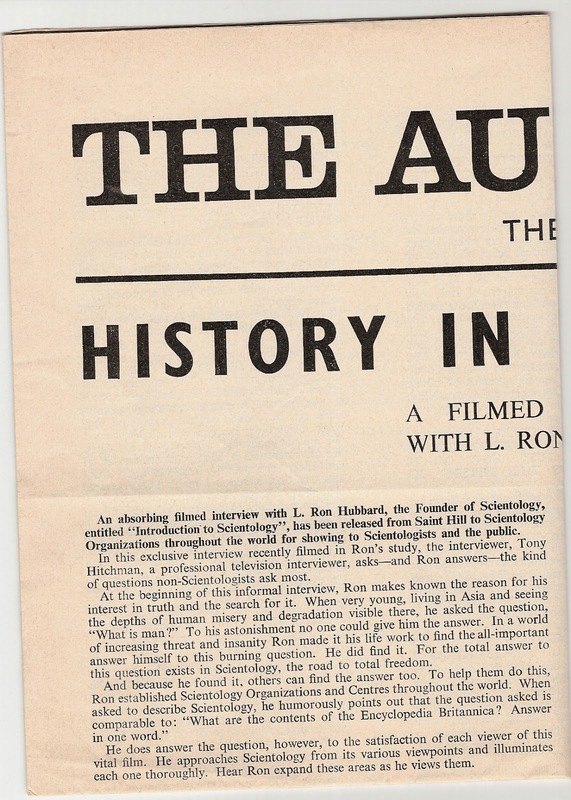 Mrs. Johnson talked at length with Dr. Jones and learned from him that L. Ron Hubbard, founder of the scientology group, was himself a mental patient around 1956. 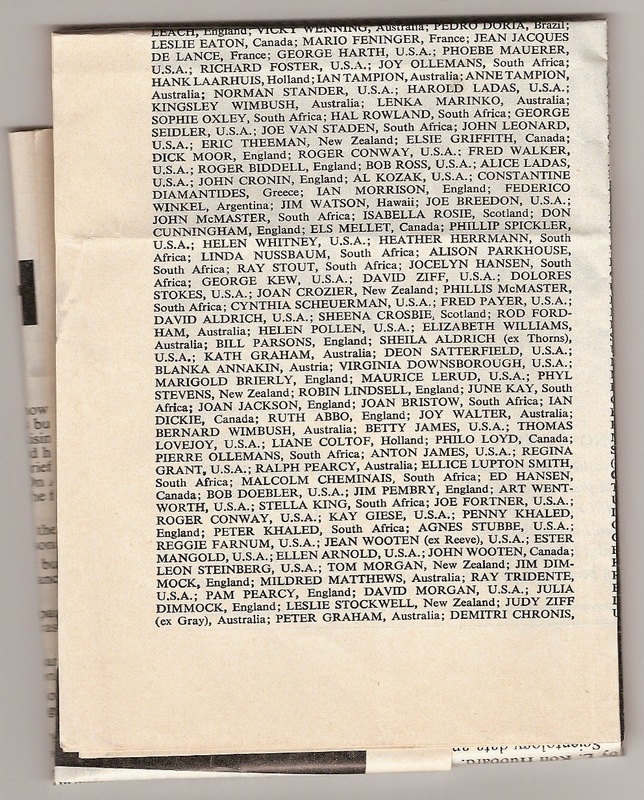 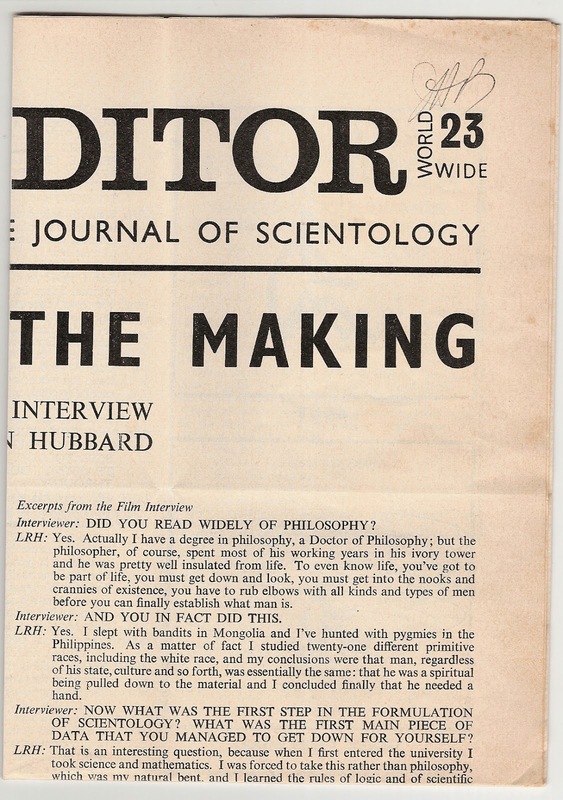 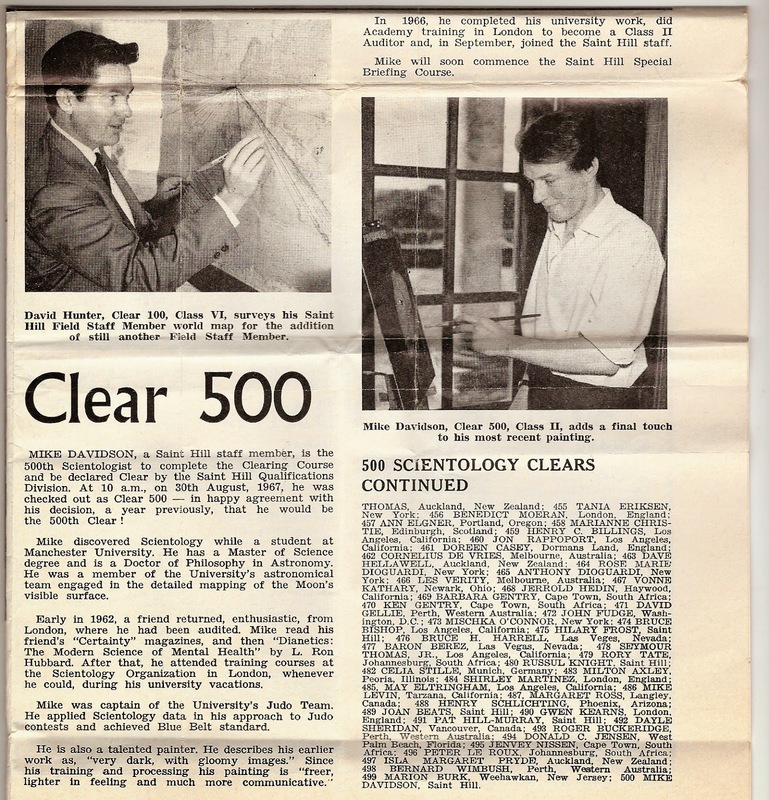 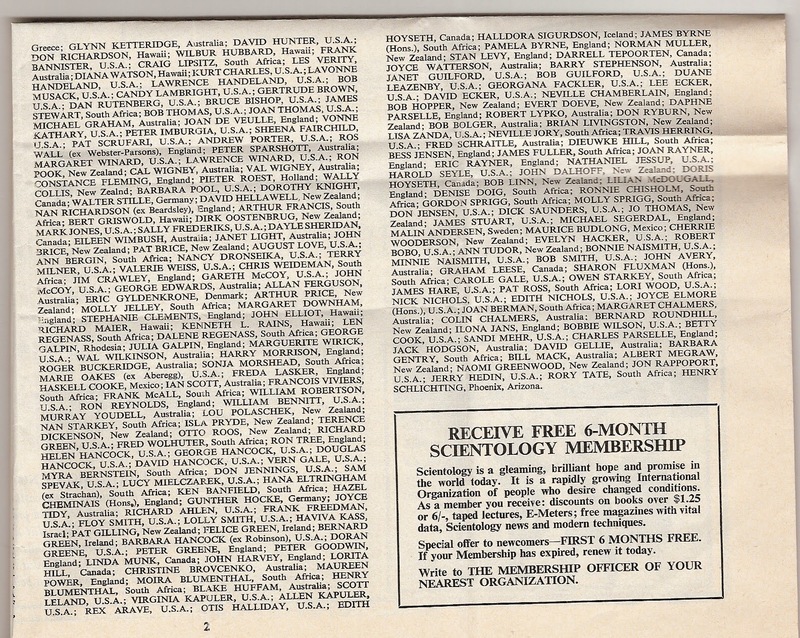 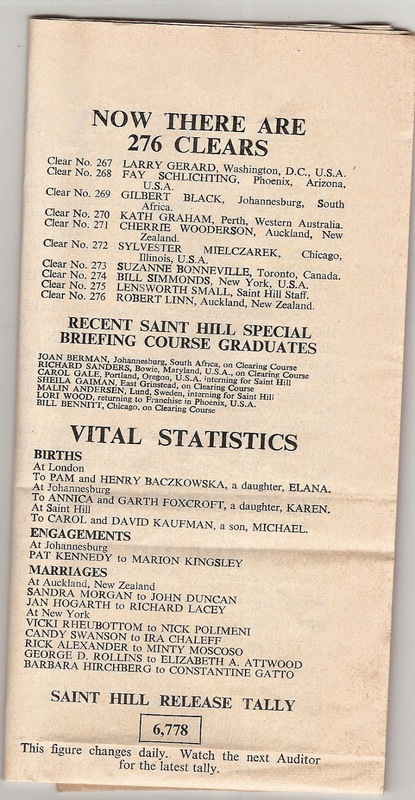 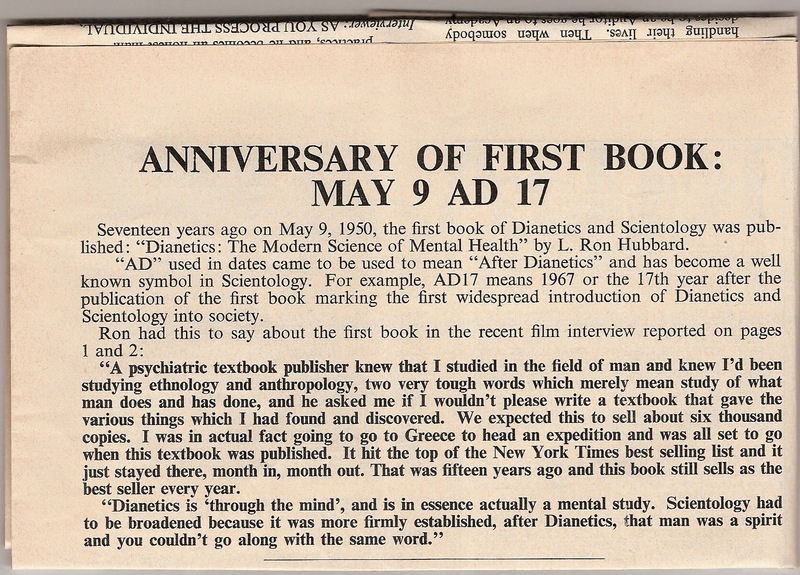 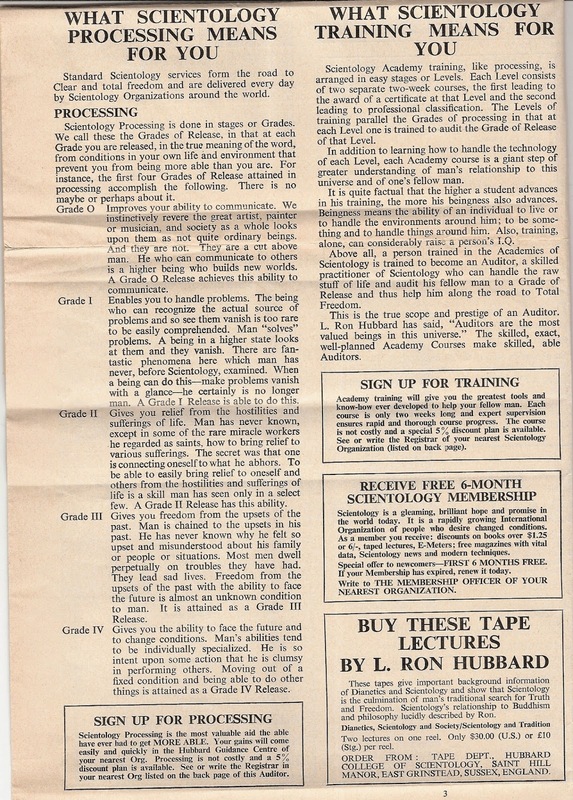 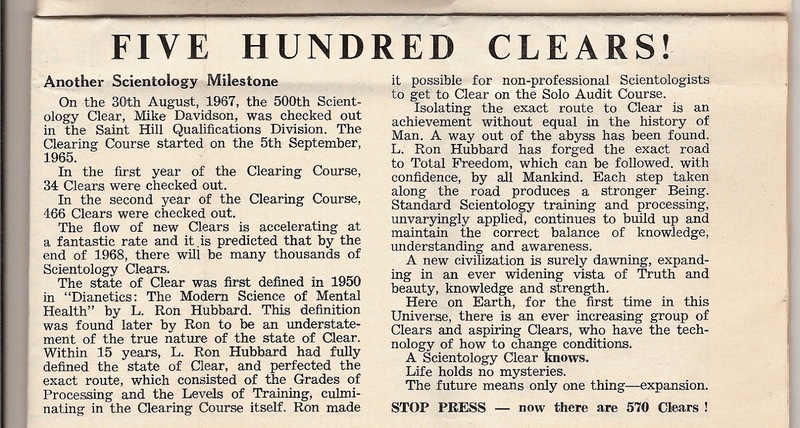 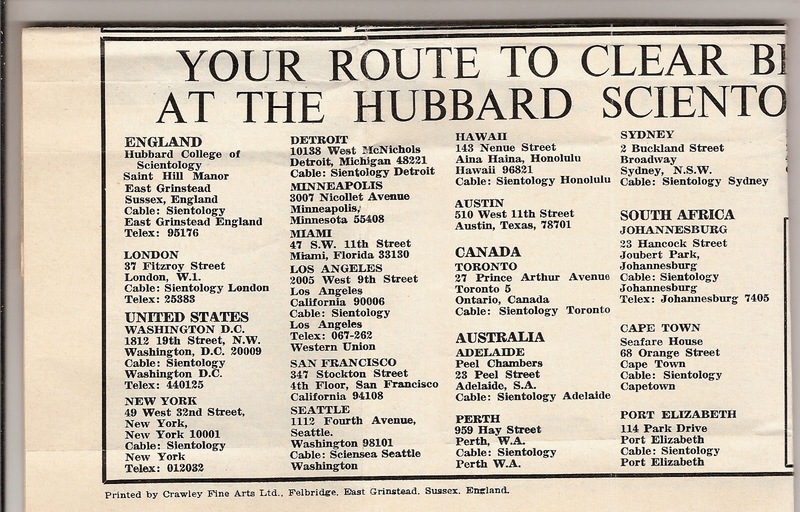 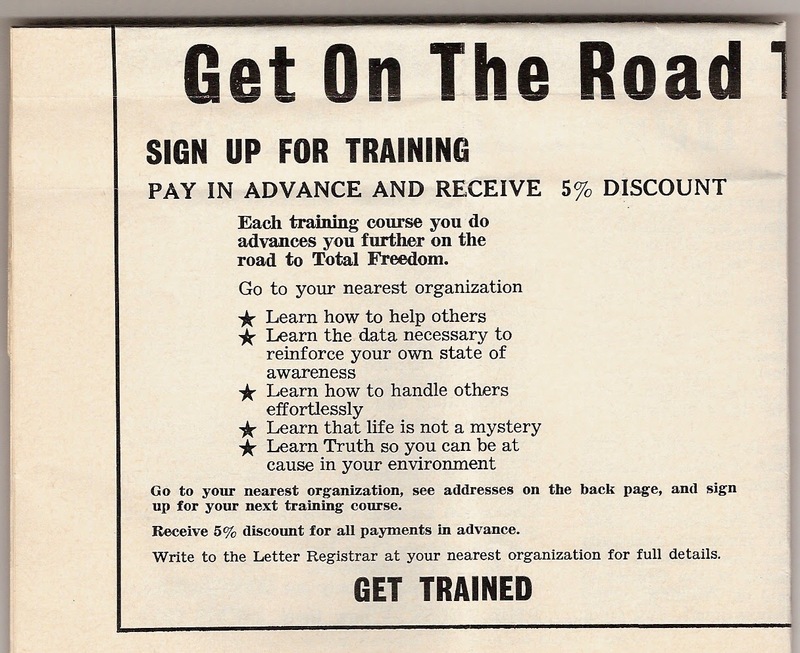 Scientology "We're playing for blood, the stake is EARTH"
I don't know any of these people, except for Hana Eltringham/Whitfield, whom was my jailer on the Apollo, in the hold with Janis Gillham/Grady. 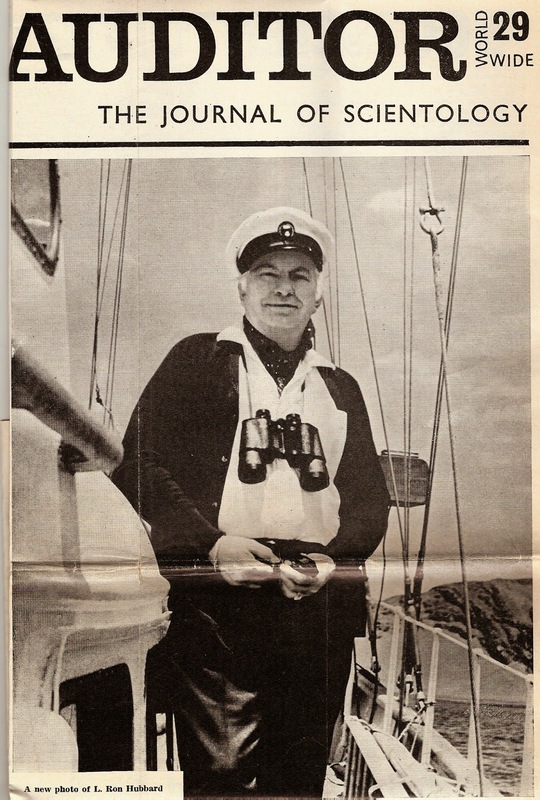 To this day, I will state that if it wasn't for her, I probably would not have got off of that ship, and where would that have left me today...I don't know. 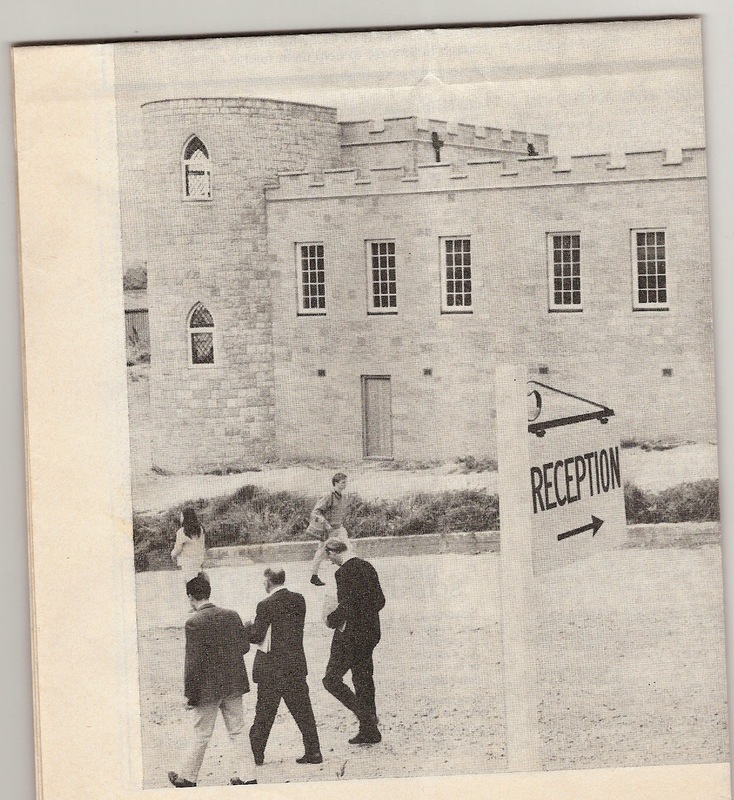 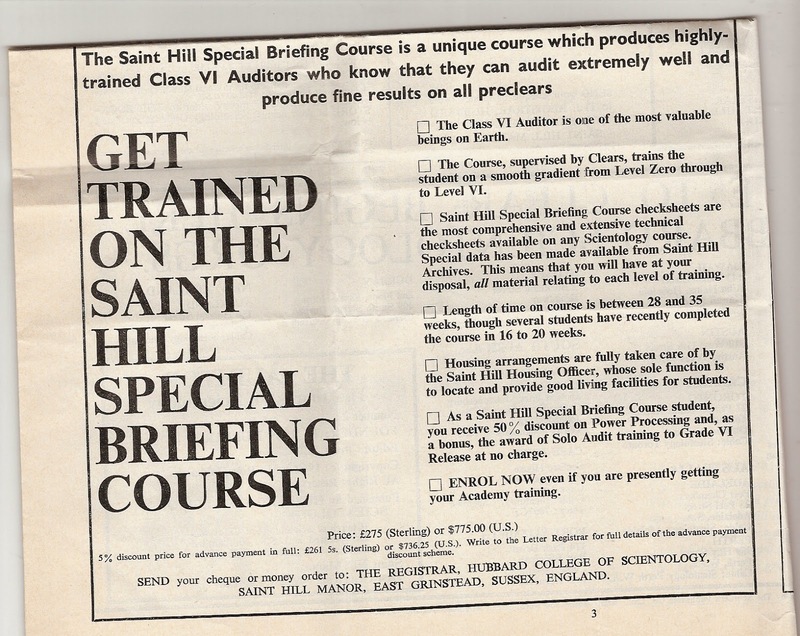 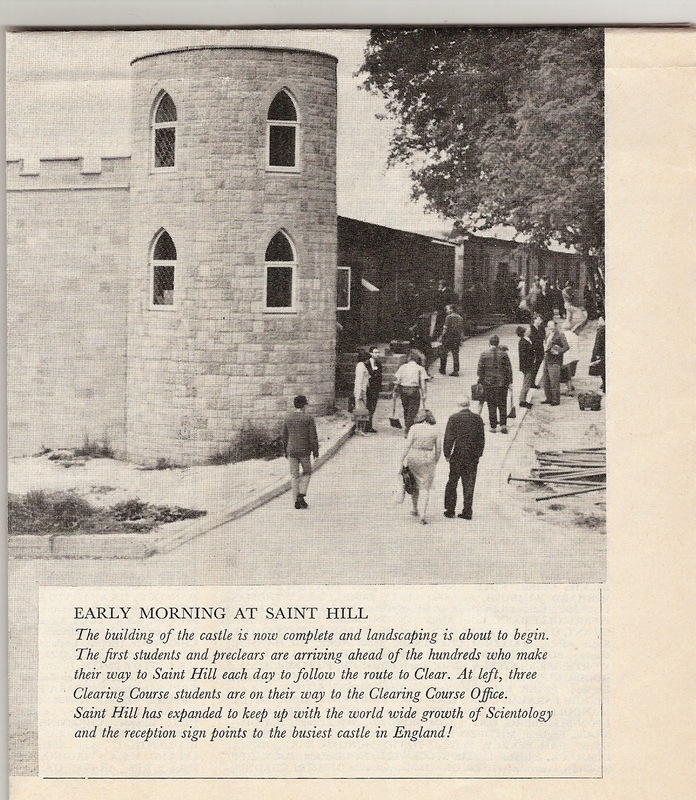 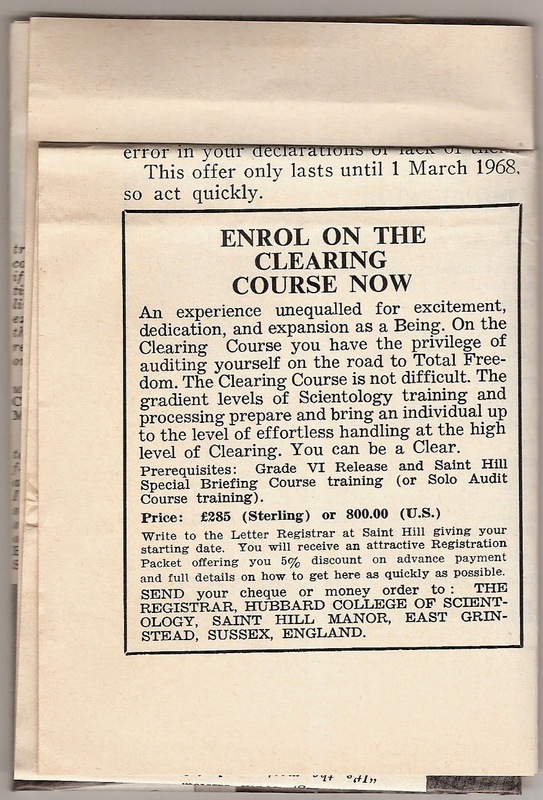 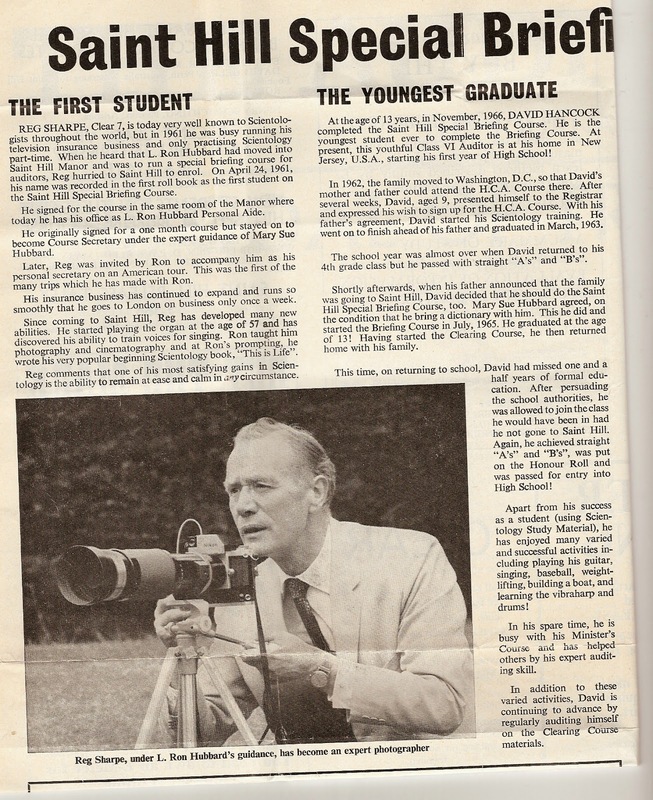 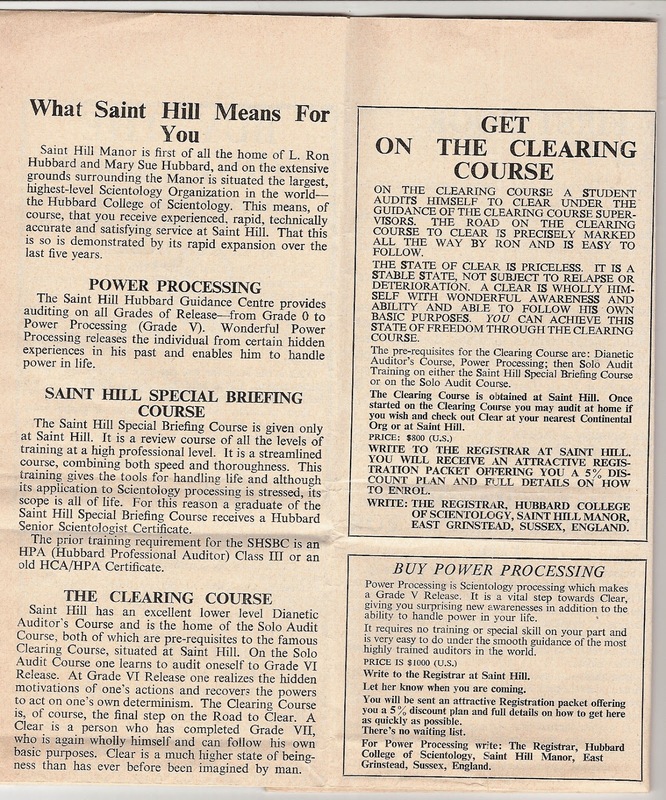 Worked at Saint Hill on films and photography. 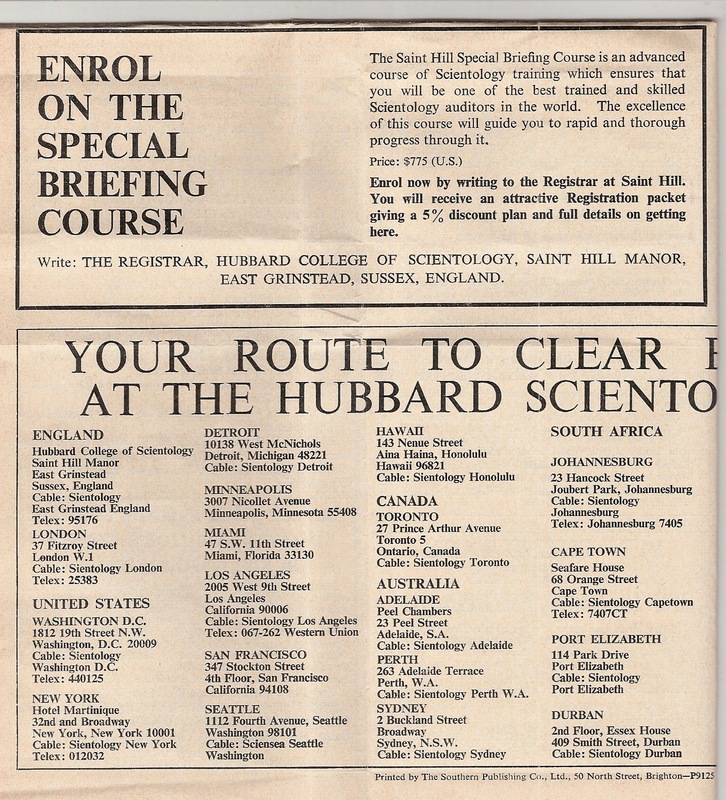 Was on the Sea Project which became Sea Org. 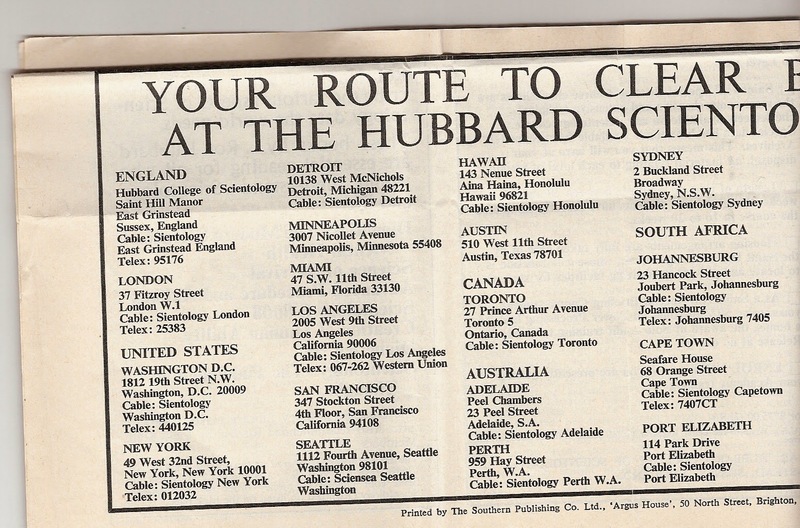 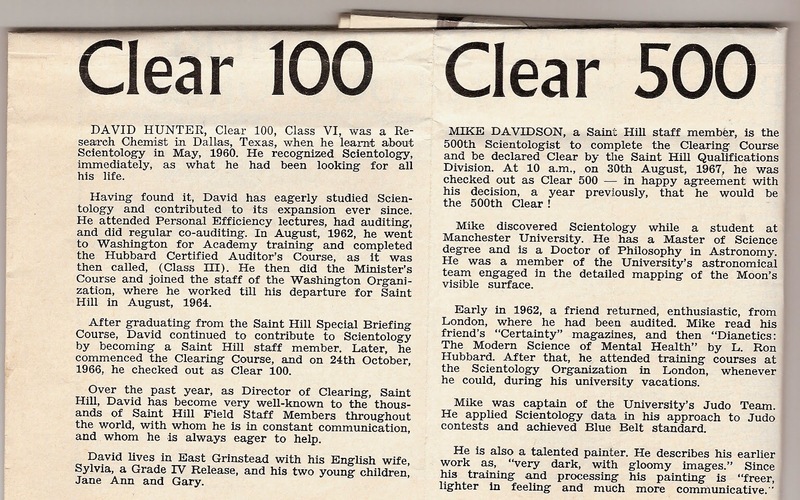 I have written a fuller profile at: http://scientolipedia.org/info/Thok_Søndergaard but I lack a lot of data (all most all data) on his Sea Org time. 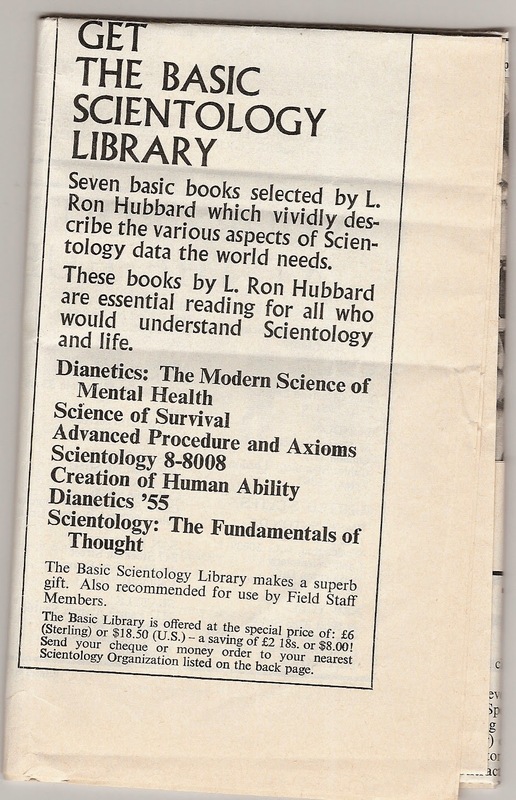 If you have any data please let me know (or log into Scientolipedia and put it in yourself). 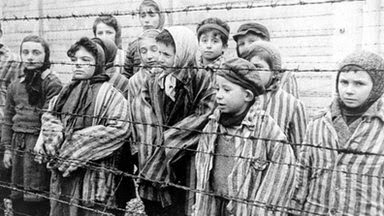 "Freedom exists amongst barriers. 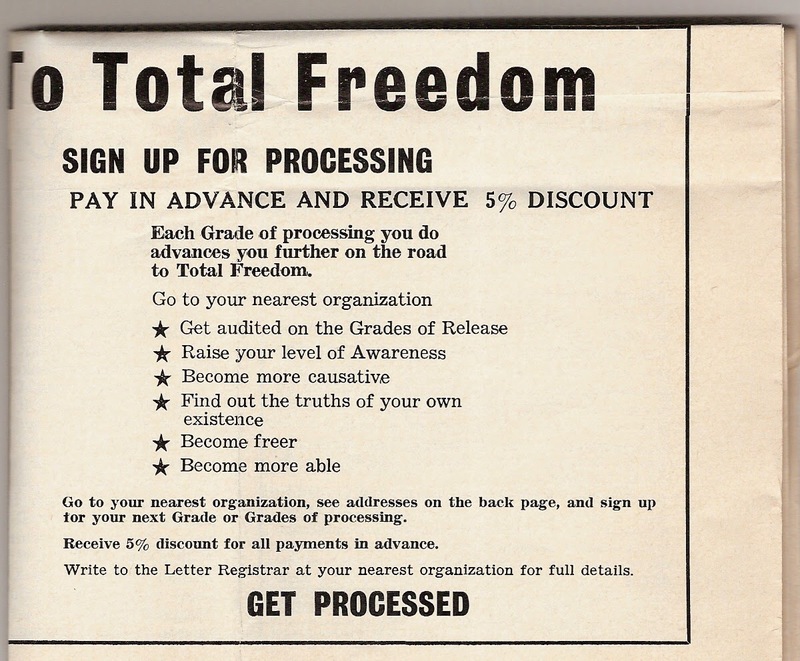 A totality of barriers and a totality of freedom alike are no-game condition. 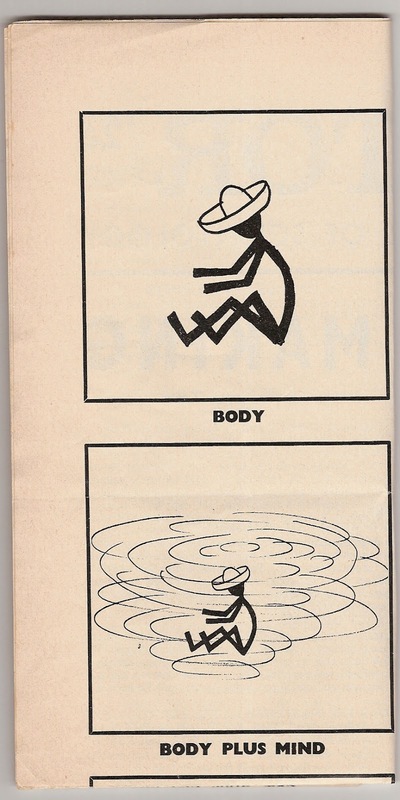 Each is similarly cruel. 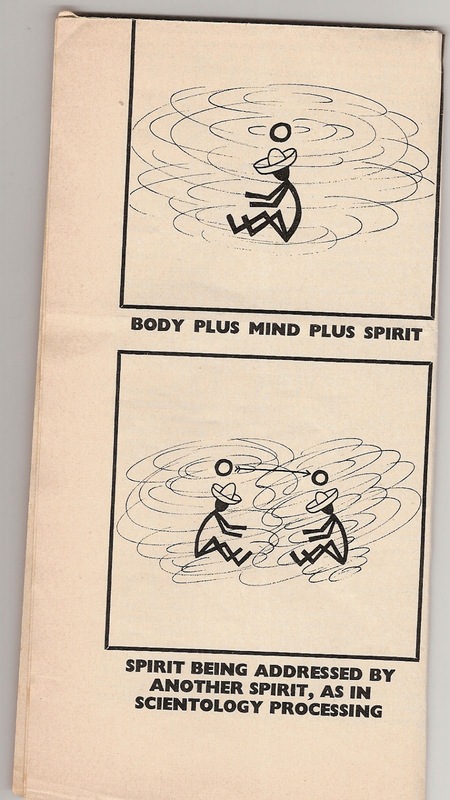 Each is similarly purposeless." 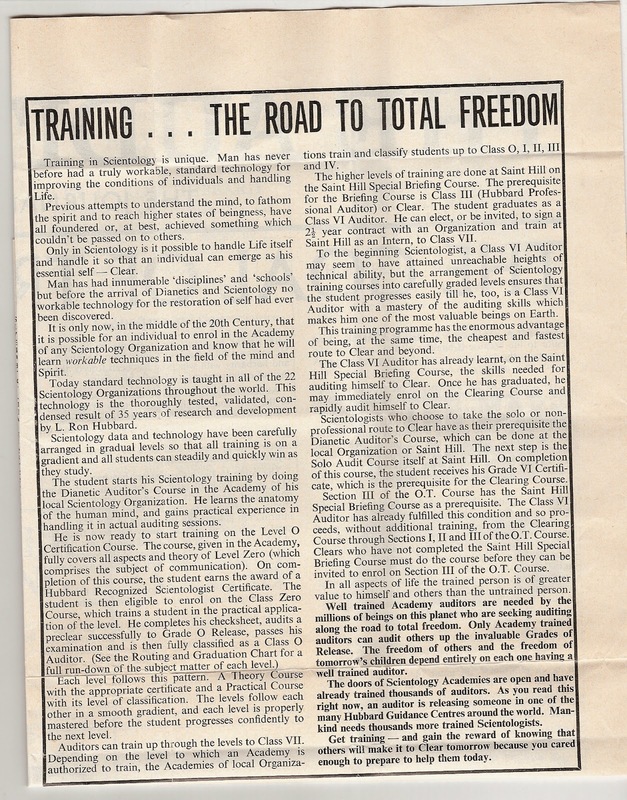 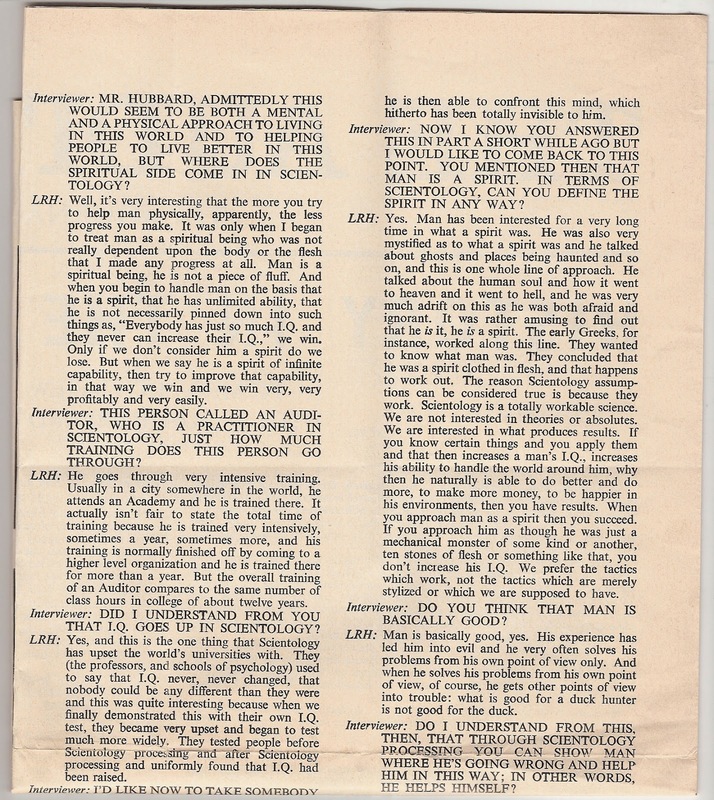 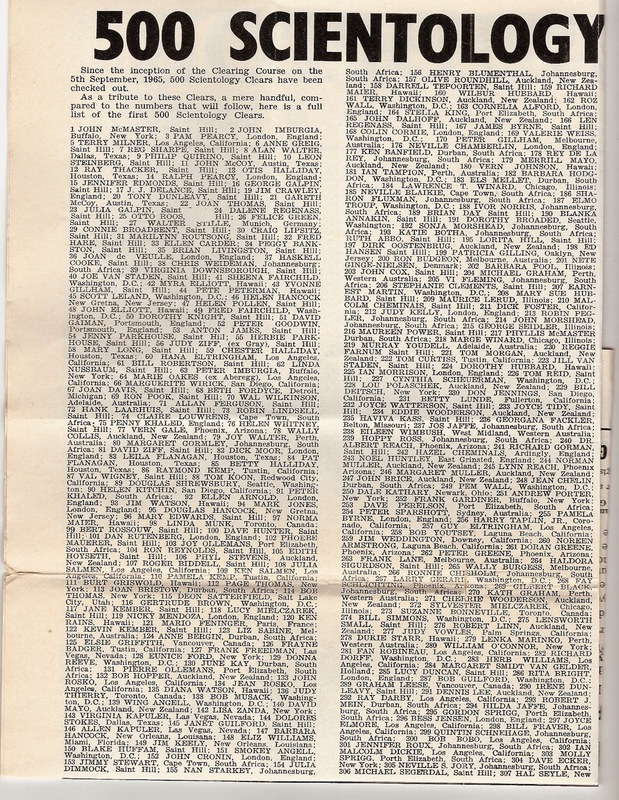 And in September 1964, I think, he wrote a Policy Letter to the effect that the public wanted total freedom so that is what we will offer them.